They blame Republicans for scuttling a Senate compromise last week, by inserting policy riders dealing with birth control and changing language in an unrelated part of the package concerning the flying of the Confederate flag. Several senior Senate Appropriations Committee Republicans who served on a House-Senate conference panel that crafted the compromise, said they kept waiting for White House officials to give a little ground on the $1.9 billion demand. They’re still waiting. And the stakes were raised when a Florida hospital last week reported the fifth case of a U.S.-born baby with head deformities caused by Zika . The child was conceived in Haiti. Sen. Lindsey Graham , R-S.C., expressed shock the White House hasn&apos;t budged, noting the $1.1. billion funding proposal received 81 votes in the Senate. “Our public health professionals estimate that the federal government needs $1.9 billion of funding to attack this emergency,” deputy spokesman Eric Schultz told reporters. “This bill falls far short of that. Blunt, who has been a part of House and Senate GOP leadership for over a decade, offered the administration a civics lesson: “This is a government where the two houses of Congress and the White House have to agree on something. By definition, you can’t wait until you get whatever you want if you’re any of those three. But Democrats, including one who was a Zika conferee, were quick to defend the White House. “I agree with the administration that the amount of funding in aggregate is necessary for the research to prevent a spread of the virus, and the prevention activities,” said Sen. Tammy Baldwin of Wisconsin. As lawmakers return after a July Fourth break, Senate Democrats are eager to reopen negotiations. But GOP members appear dug in over the birth control and Confederate flag issues, and the White House remains dug in on its funding level. 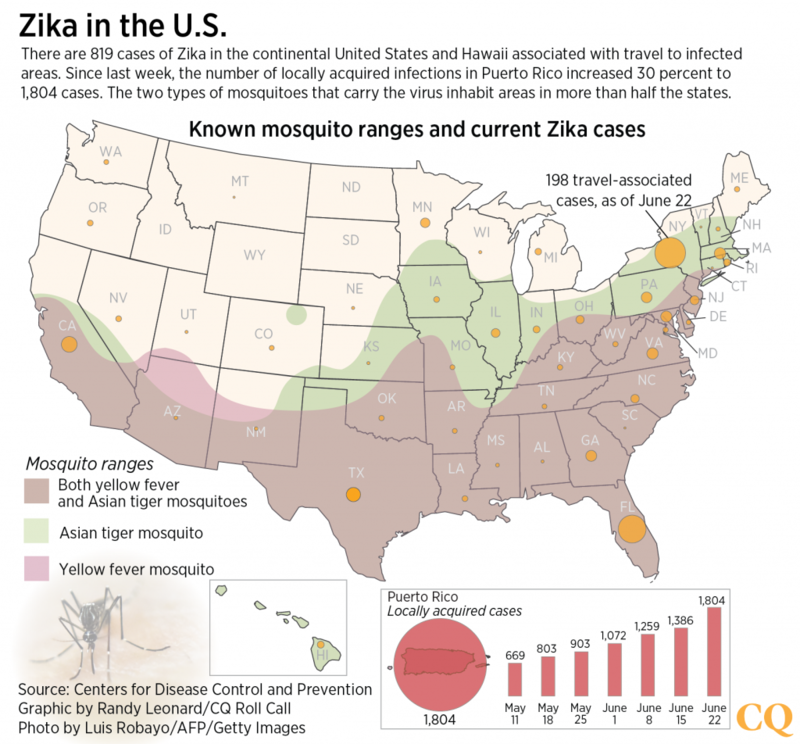 That’s why one source, a former congressional committee aide who closely follows budget matters, said all indications are “there is no Plan B” on Zika.